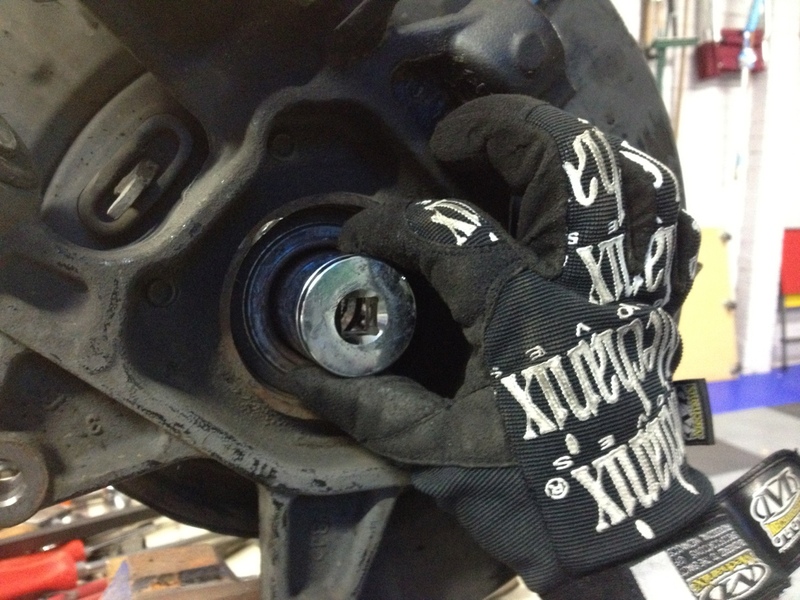 I have stripped the second-hand rear suspension knuckles now. 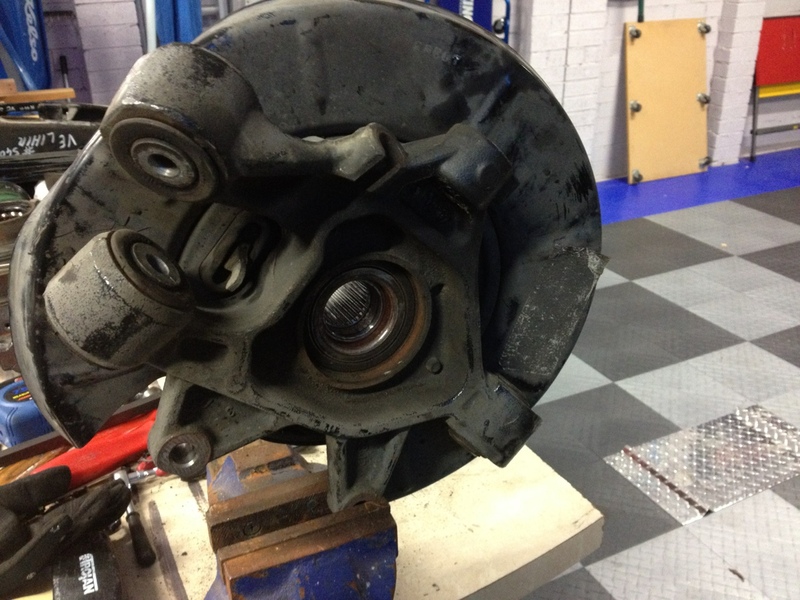 This involved removing the drive flange, the handbrake shoes and mechanism, the OE rubber bushes, a pressed-in heim-joint and the main driveshft-carrier bearing. 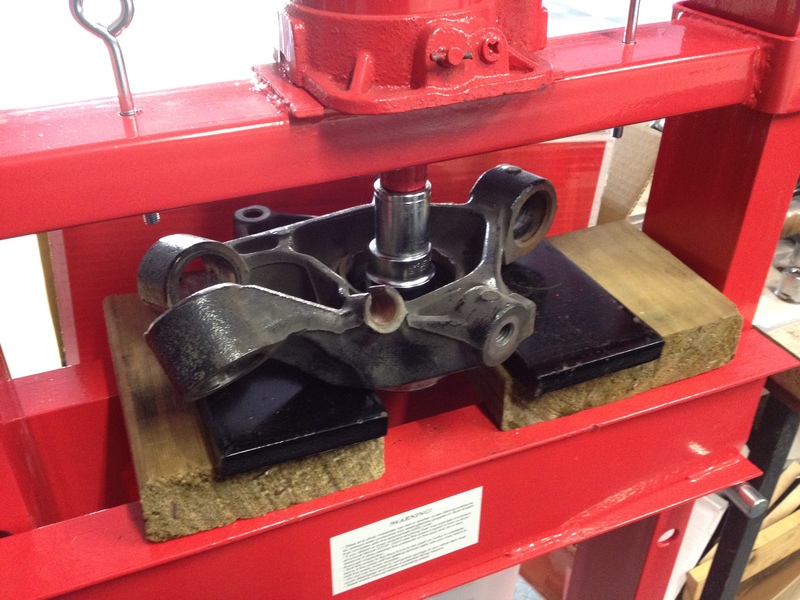 I bought a new 20T press from Radum, it's very heavy duty, solid and works great. 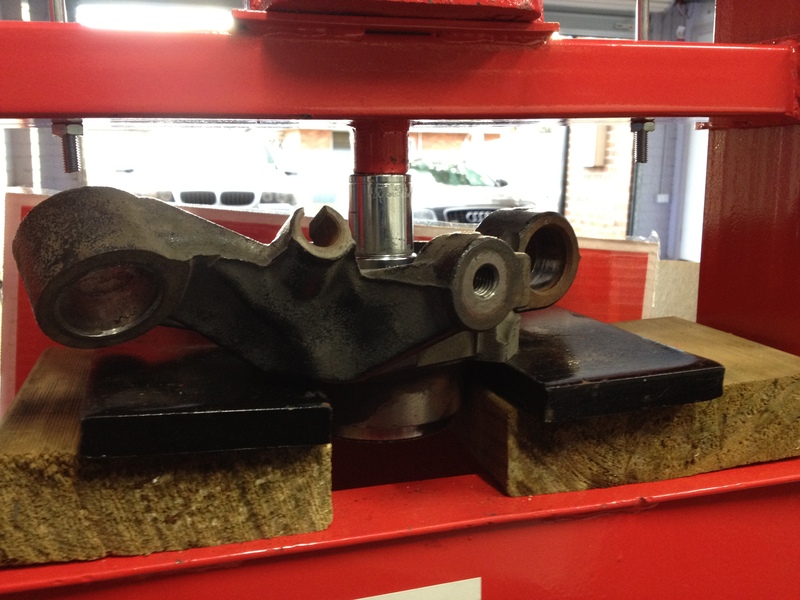 In the below pic you can see the two rubber bushes in the left of the knuckle, the mounting at the bottom right is where the heim joint is pressed in. 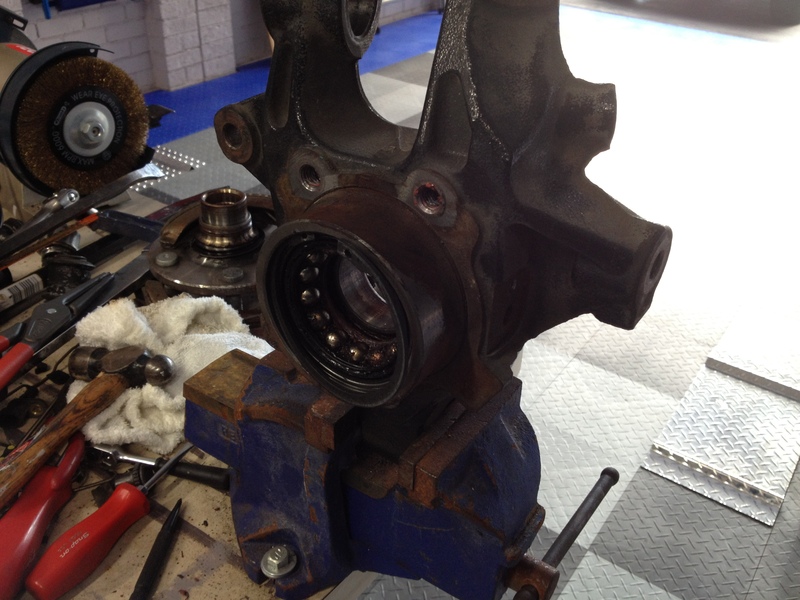 First job is to get the inner flange out of the main bearing. This is not an easy job. Pressing it out would be nice, but it doesnt really fit in the press due to the width of the flange which is designed to mate the face of the disc rotor. 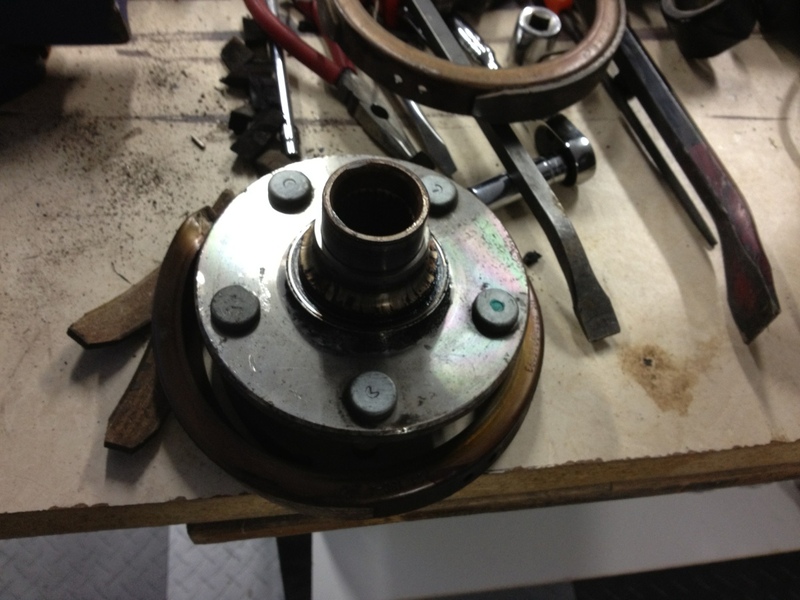 It is standard and expected procedure (according to the GM workshop manual) that the bearing will be destroyed while removing the flange, and they're spot on. I used a large socket as a drift to knock (bash!) 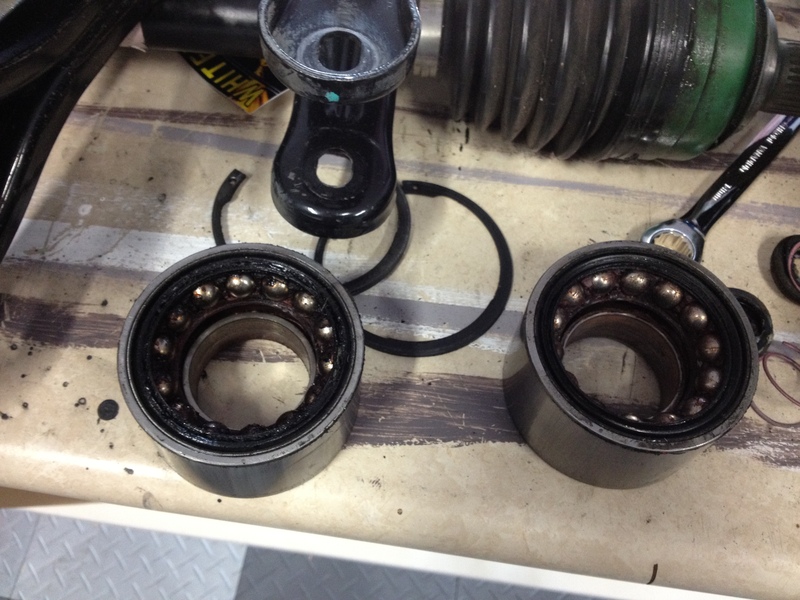 the flange out, and it destroyed the bearing in the process, but that's ok it's supposed to come apart at disassembly. A 32mm socket fits perfectly. 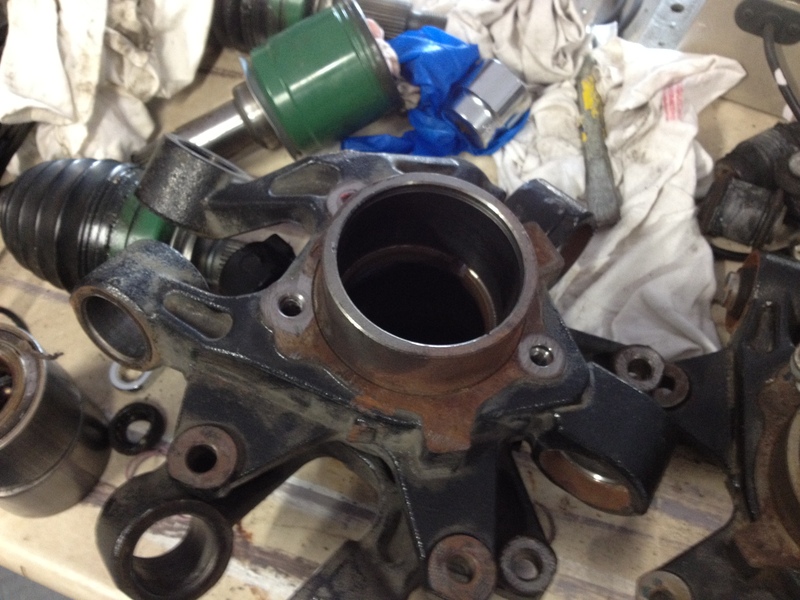 With the flange out you can see why the bearing is destroyed in the process. 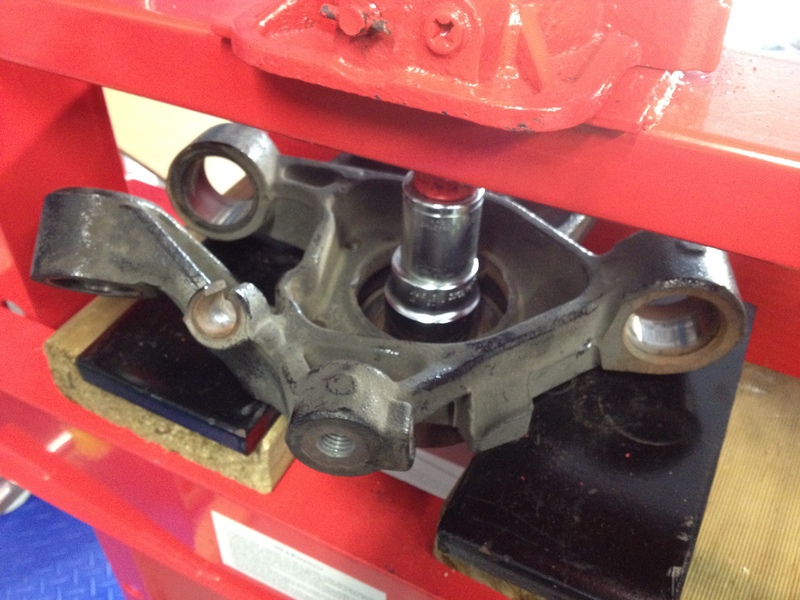 The inner bearing race mates to the flange during installation, and presumably after receiving load and heat through normal operation the inner race is basically inseparable from the flange. This is why I bought new flanges in advance, I knew I wouldn't be able to use them again (thanks Dave). 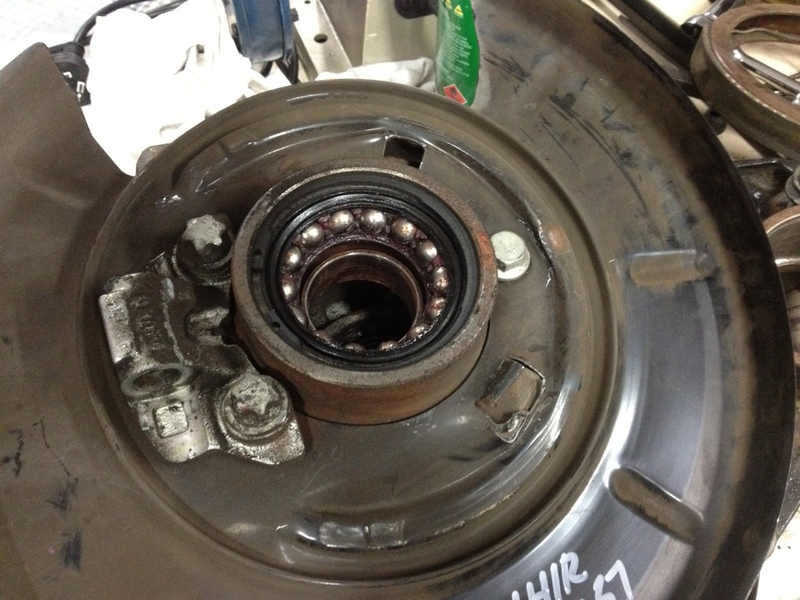 After taking out the flange the remnants of the bearing can be seen. 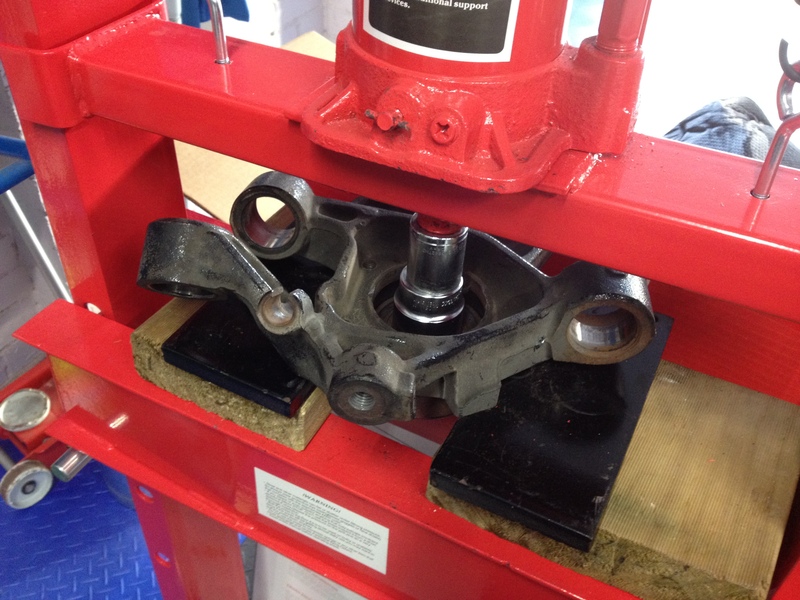 ...and then the bearing housing can be pressed out fairly easily in the press - its a massive unit! I have also removed all the bushes from the other rear suspension components, lower arms, trailing arms etc, they too are all heading off to be sandblasted and then will get painted up nice and new, and get new poly bushings.